This week’s episode was really more of a character study. Beauty and the Beast is usually very plot driven and sometimes it takes a long time to see the characters develop and learn; but not this time. On the last leg of the road to the end of the series, we are seeing some pretty big changes for our friends, and some insight into them in the process. The case of the week involves an underground fight club that’s been on Tess’ radar for a long time. Its ring leader, Pierre Medjani (Saad Siddiqui) seems like a good candidate for being the mysterious person behind the beast hunt, especially when a known mercenary he hired is found dead. DHS Deputy Secretary Hill thinks so too and he hires Cat on the spot as a DHS Special Agent, so she can put an end to this beast business once and for all and save his hide in the process. Deputy Hill (Andrew Stewart-Jones) is a little ungrateful for my taste. He seems all too eager to have Cat and co take all the risk, while he disavows all knowledge and responsibility. The move especially blindsides Tess, who not only loses her case, when Cat pulls federal rank on her, but also her best cop and partner. It is pretty clear that Tess is devastated, but the police captain is forever the professional and cooperates as ordered. Further complicating her life is JT, who is avoiding coming clean about quitting his job as a tenured professor. As the two are about to sign a lease together, this is not a good development for our second most favorite couple. As much as this episode is about changes and character development and also relationships, at the center of the whole arc is Tess. Brilliantly played by Nina Lisandrello, Tess doesn’t always have the spotlight aimed at her, but always seems to find the light anyway. She is a layered, complicated, funny, fiercely loyal, prickly character and Nina Lisandrello always squeezes the most out of every moment she gets. How wonderful then to actually see her as the emotional center of this story. Just as we question the wisdom of having Vincent go undercover at a fight club (exposure anyone?) it turns out it’s girls’ night anyway. Cat is of course up to the challenge and handily wins a four way fight, which earns her a trip to the next round, this time in front of Medjani and his rich gambling clients. But Cat is on her own, as Vincent takes one of the other fighters to the ER where he learns how brutal Medjani really is; “fight or death” being the motto of this particular fight club. Tess finally confronts JT when she learns his secret from their future landlord of all people (not cool!) and she’s understandably upset. Yet Tess doesn’t hesitate for a moment when she finds her friend in trouble when Vincent bursts in, panicked that he can’t find Catherine. Tess puts her ego and emotions aside and since she is already familiar with what was her case all along, she is able to get the team to Medjani’s location just in time to bust the ring wide open, rescuing Cat in the process. Cat and Vincent then confront Medjani, who turns out to be another dead end. Who else thought it wasn’t too smart for Cat to blurt out that it was her husband the bounty hunters are looking for and for Vincent to reveal himself by beasting out? Whatever happened to not risking exposure? But like I said, the case of the week wasn’t really the point of this episode, so let’s skip ahead to the four buttons (closing moments) at the end of Down for the Count. Button one gives us Tess and Cat, coming to terms with the fundamental change in their relationship. Tess asks if this is what Cat really wants, which is very generous. Tess knows what she wants; her partner at her side as they work cases together, back in the field. Cat thinks they can have that, as this fight club case couldn’t have been solved any other way. Of course this should have been Cat’s approach all along. Instead of pulling rank and going it alone, Cat should have realized that she needed Tess, not only for her earned knowledge of this case but also for her loyalty and willingness to put herself aside to help her friend. Nina Lisandrello shows us just enough emotion and vulnerability and it’s an amazing performance. The scene feels genuine and it may be one of the best of the show so far. Button two shows us Heather and Kyle (Michael Roark), whose persistence seems to have paid off. Heather feels beaten down by the chaos around her and she can no longer resist the love Kyle offers. I don’t think anyone at this point believes that Kyle’s only motive to get close to Heather is a romantic one, but maybe we are wrong and this arc does promise a happy ending for Heather. She certainly deserves one as much as any of them. Button three is probably the most important one as it involves JT and Tess confronting the elephant in the room; JT’s reluctance to share his path with Tess. Because that is really what is happening here. It is all fine that he doesn’t know what he wants to do with the rest of his life, that he is not as certain as Tess is about what she wants from hers. But he has excluded Tess from his questioning. He didn’t tell her of his decisions, didn’t include her in his plans or even his uncertainty. Like Cat, he has to learn or decide that they are better together. These two clearly love each other and it’s to both these actors’ credit how palpable their anguish is on the screen. It is no wonder that JTnT has become such a popular pair on the show. We all want to root for them and our heart aches as they struggle to find their way to each other. Once again, Nina Lisandrello gives an amazing performance and Austin Basis as JT matches her beat for beat. It is also to the credit of the show’s writers that I truly don’t know where this will go. 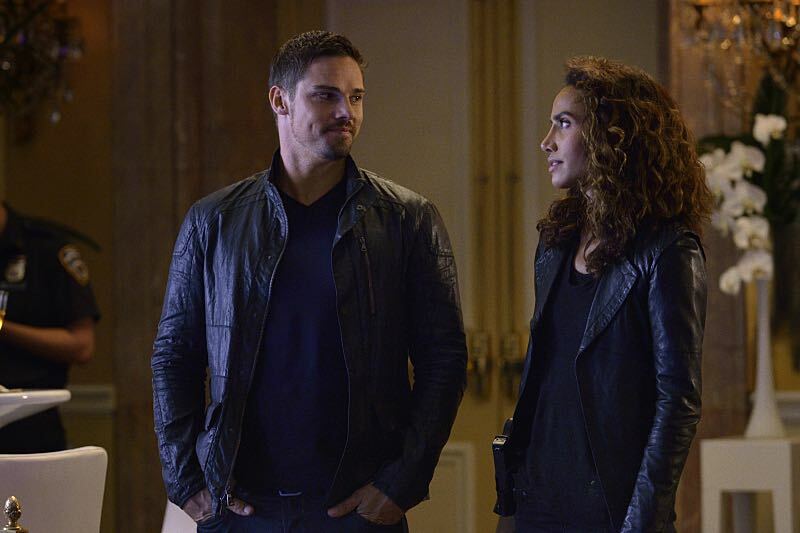 It doesn’t feel like yet another artificial “boy loses girl” trope arc moment; it feels like characters behaving as real people, learning how to navigate life under these extreme circumstances they find themselves in every week in the Beauty and the Beast universe. 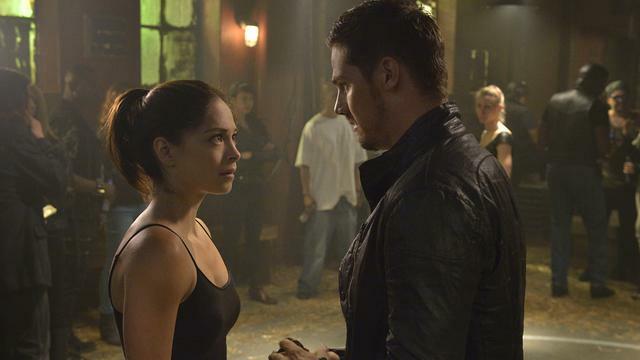 Which brings us to button number four and our OTP, Vincat. This is the pair at the center of it all and they have learned the most over these past three seasons and a bit. They know that they are better off as a team, They still struggle, but they trust that they will work it all out, together. We may not know yet who is behind the bounty on Vincent’s head, but in the end it doesn’t even really matter. They and we have faith that they will prevail. In the meantime everyone is learning some great lessons and we get to watch them do it. Not a bad deal. What did you think, Beasties? Still on board the season 4 express? Give me your thoughts below.